Dwight D. Eisenhower credited the 4×4 Willys Jeep with being one of the most important weapons we had for winning World War II. He put it right up there with the atom bomb. 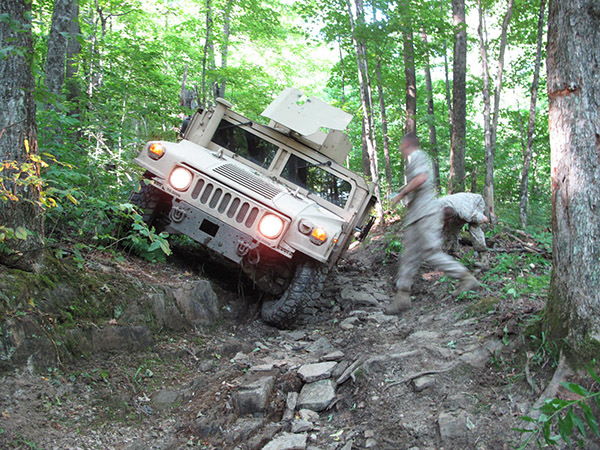 4×4’s continue to evolve as a critical component to military success. Like any tool, the better its capabilities and limitations are understood the more effectively it can be employed in meeting the teams objectives. 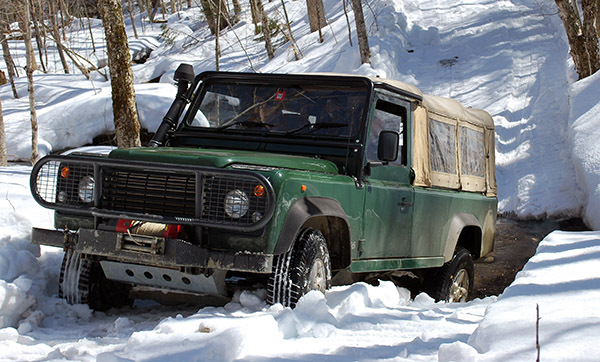 Since 1998, The 4×4 Center Driving School has partnered with the Department of Defense to help train personnel in operating and maintaining 4×4 vehicles under the most extreme conditions. 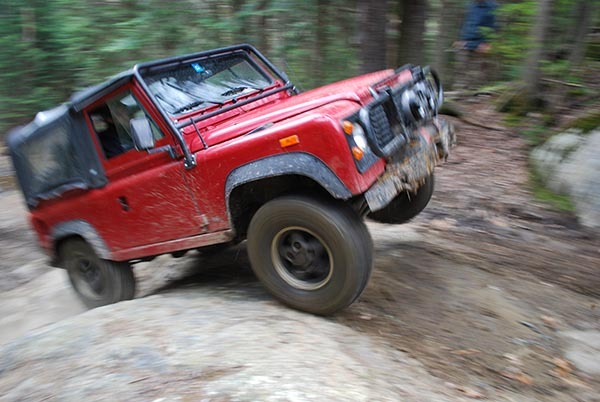 Our program is designed to get the absolute most out of every aspect of the vehicles and the people who drive them. At the 4×4 Center, we teach our students how to be creative and innovative in adapting to the nastiest problems and trickiest terrain man and nature can come up with. The most effective tool in any situation is, after all, your own brain. 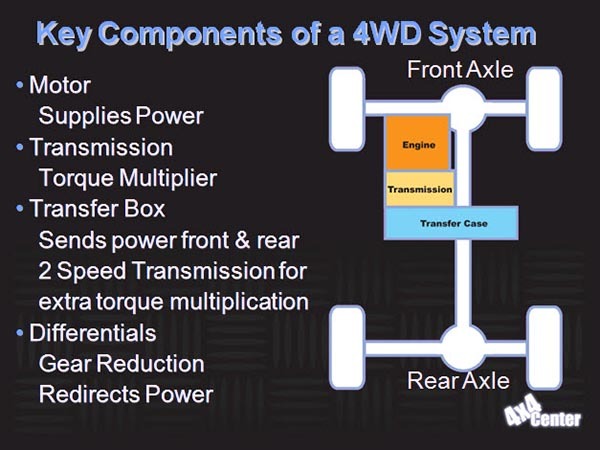 Our program begins in the classroom with an overview of the mechanics of how the vehicles work, basic drive train schematics, some of the physics governing the relationship between the vehicle and the road (or lack of as the case may be) and general driving theory and techniques. 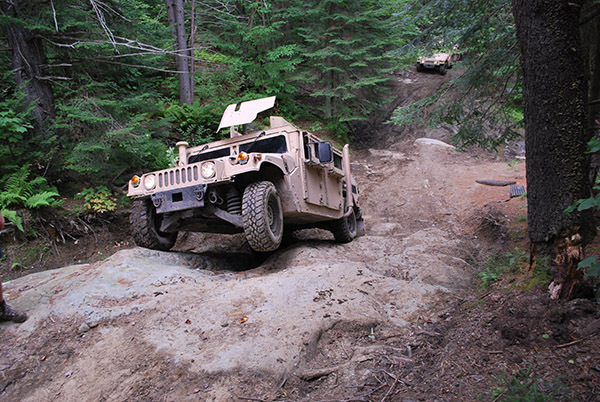 We also devote time to discussion of upgrades to improve vehicle capability & ruggedness. All of these lessons are put into practice in the field and on our 15 acres of man-made obstacles. We make sure every driver feels what it’s like for a vehicle to be running and handled properly and improperly. 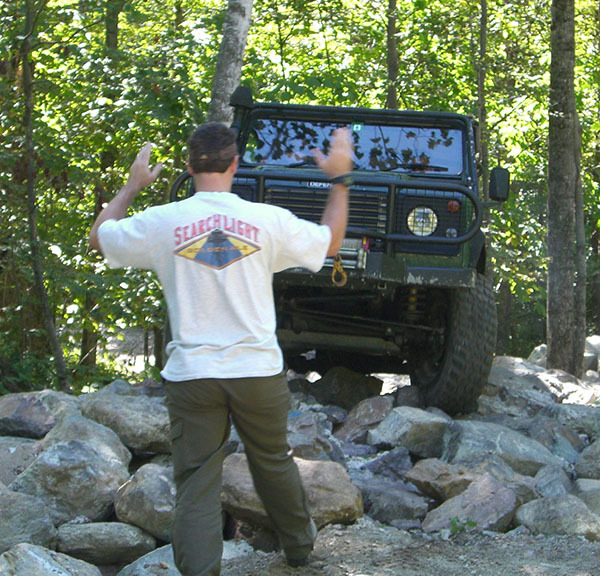 An experienced 4×4 Center instructor is always in a training vehicle to ensure each teaching opportunity is realized and remedial training is quickly delivered. We recommend a ratio of two students to one instructor, but can adapt to meet your teams specific needs. This is the only way anyone can learn to recognize problems early and react to them. Perhaps the most important skill to learn is to how to analyze and traverse rugged terrain. 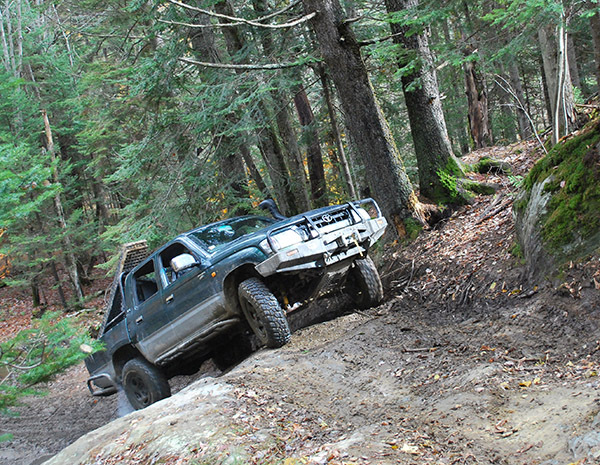 Our 3,000 acre facility in the Green Mountains of Vermont offers every type of challenge imaginable – mud, mountains, rocks, ravines, and even some desert-like conditions. (In the winter months, you can’t ask for more than what Vermont winter can throw at you.) 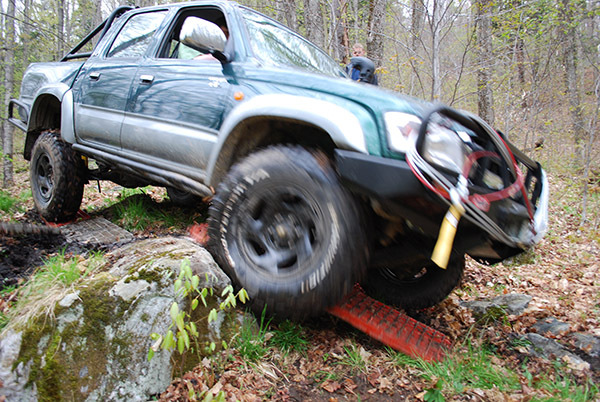 We teach a variety of tactics and techniques for dealing with different surfaces and obstacles and weather conditions, including extreme inclines and declines, along with a variety of spotting procedures. 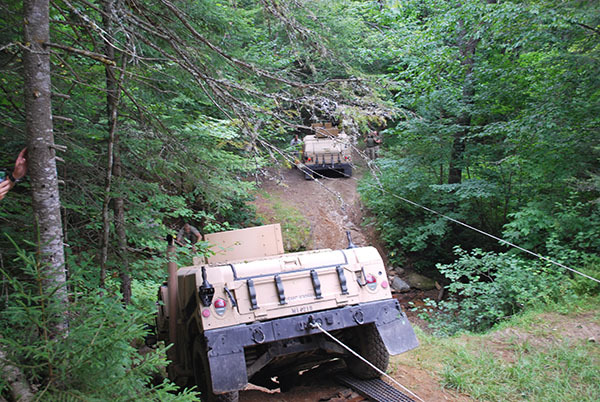 There is no greater challenge than keeping a vehicle in top performing order in an area of conflict. The key to vehicle preservation is knowing the vehicles capabilities, operating within them and identifying problems before they limit mobility. When mechanical failures occur, having the knowledge to triage problem, by identifying if it will inhibit you from reaching your objective or not. If a field repair is required knowing the proper tools to carry and knowledge of how to how get rolling again can expedite a campaign. A few pieces of equipment and preparation can save hours of being stuck and broken. Once in the field, you’ve got to make do with the skills and the tools you have, which is why the 4×4 Center puts such a strong emphasis on advanced planning and creative problem solving. We give our students hands-on experience making repairs to commonly broken parts in the drive train, performing routine vehicle maintenance procedures, doing basic electrical repair and proactive problem avoidance, as well as a thorough overview of how to recognize compromised parts. When you’re pushing vehicles to their maximum performance capabilities, inevitably they will on occasion be pushed too far. 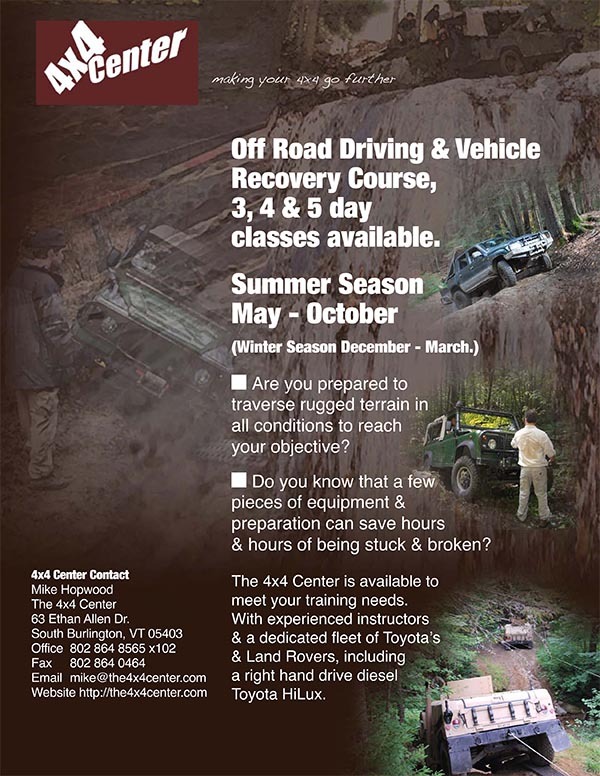 Here is where vehicle recovery training becomes essential. 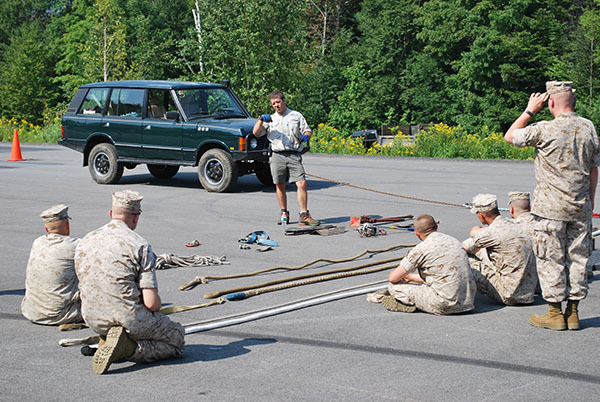 At the 4×4 Center, we will take you through a host of exercises and procedures including winch operation, alternative recovery gear and training, roll over righting, tow point locating and improvisation, and dissimilar sized vehicle recovery. 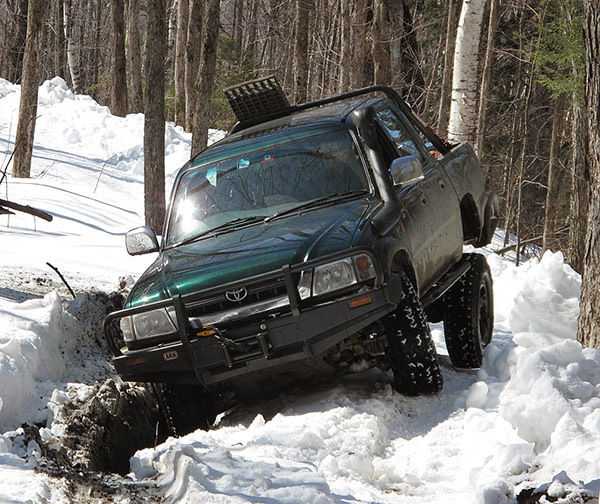 The climate in Vermont from December through March offers some unique challenges for 4×4 operation in severe winter conditions, similar to other mountainous terrain around the world. 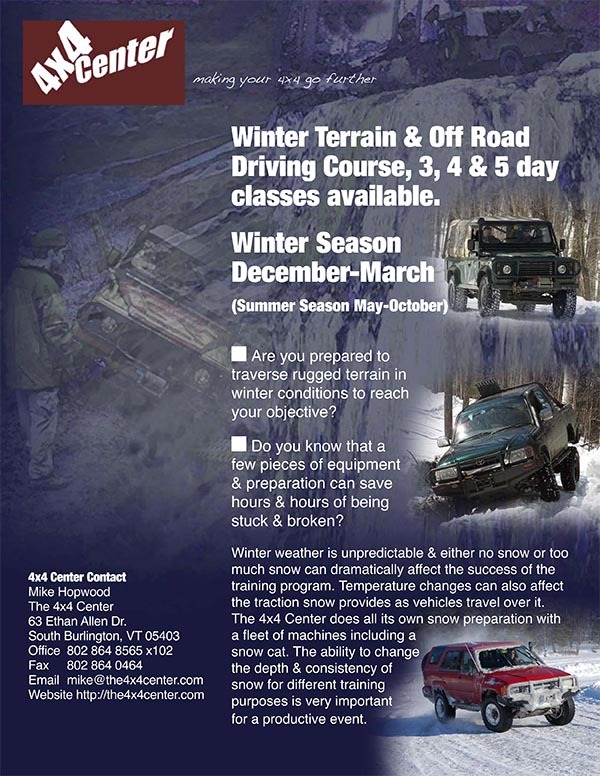 We offer opportunities to learn about cold weather vehicle preparation and how to experience routine and emergency maneuvers on ice and snow. Since we live, recreate and operate in the winter environment we can share the subitilies of winter driving with you to ensure success. We own a snowcat for grooming and maintaining our winter terrain. Additional Terrain is Available for Government Customers. While we do maintain own 3,000 acre facility, we can arrange for some government agencies to access a local military facility of 18,000 acres.